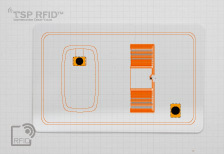 With mature antenna design/ manufacturing as well as the excellent card lamination technology, we provide combo card assemble with different RFID ICs. 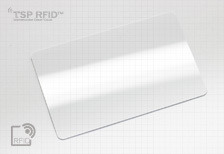 RFID Card combo with contact module, for contact module please refer to our module stock. 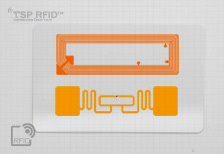 RFID Card combo triple frequency RFID ICs. 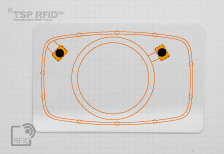 Combo with UHF(860-960 world-band) and 13.56Mhz RFID technology together. 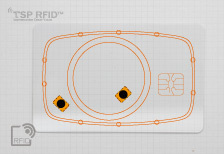 Etching antenna+ FLIP for both HF13.56MHz and UHF, Ultra-Flat all over the card surface for best after printing performance. 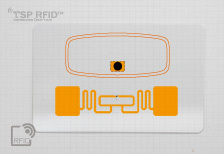 Combo with 125KHz(134.2KHz) and 13.56MHz RFID technology together. The combo is ok with any LF and HF IC. Frequency and antenna+COB layout customized request is welcome.